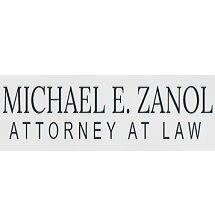 Attorney Michael E. Zanol provides experienced and skilled criminal defense representation to individuals throughout Washington and the Wenatchee area. With more than 30 years in criminal defense, he understands how to work with prosecutors, judges and investigators to create the most strategic and effective defense possible on your behalf. He understands how to approach each case and the tactics that will most likely render favorable results. His abilities and understanding of the criminal justice system have protected the rights and futures of individuals throughout the state. He represents people charged with all types of crimes, ranging from domestic violence and assault to DUI to fishing and wildlife charges. In each case, he remains accessible to the client, offering honest and straightforward answers and information to all questions and concerns. After decades of defending these types of cases, he understands the nuances and variables that can make a difference between a favorable outcome and significant penalties or jail time. He knows the impact a conviction could have on your life, your family and your future. He is committed to advocating staunchly on your behalf. If you have been charged with a criminal offense, call the Wenatchee, Washington, law office of defense lawyer Michael E. Zanol today at 509-872-5113 for a free initial consultation.